It's officially the month of L-O-V-E and I wanted to kick it off with a free pattern. This pattern first appeared in Inside Crochet's Feb 2015 Newsletter, but I never had the chance to type it up for the blog my ravelry shop. Aside from this very PUN tastic little bee, I've also decided to put together another pun filled photo, can you guess what they're trying to say? It's a valentine's owl! I'm actually thinking of whether to give him a bouquet of flowers or chocolates, or a little gift box! What is your pick? Well, that's it for now. I hope you all had a wonderful January and that February will be even better!!! Happy New Year (a bit late) and Happy Chinese New Year (well, almost!). As the lunar new year approaches, let’s all bid bad luck adieu and channel all the good luck! I’ve actually had quite the year and I’m so thankful to EVERYONE who has been with me! 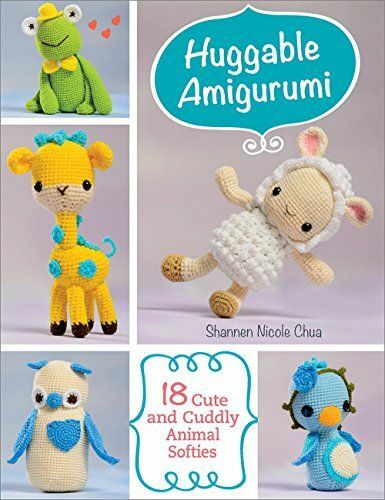 Last October, we officially launched Huggable Amigurumi, my very first Amigurumi book with the amazing Martingale & Co. 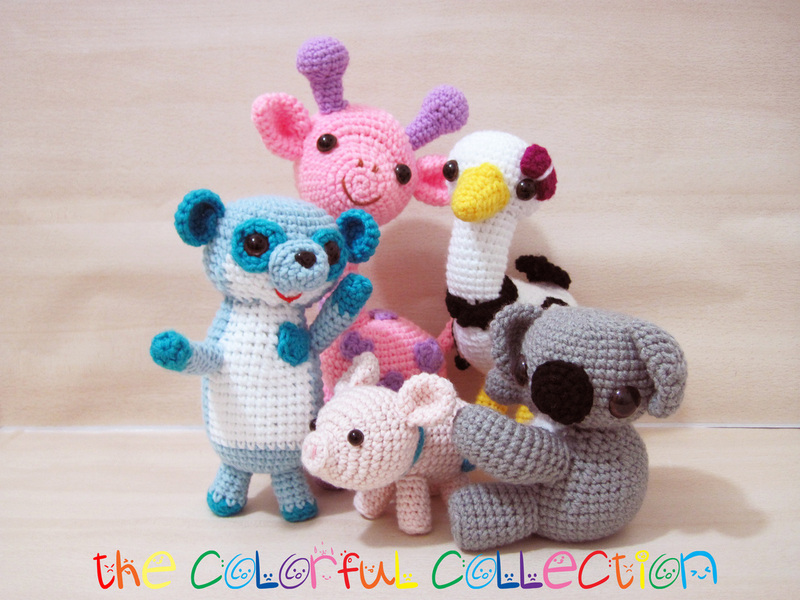 I also guested in the blog of the uber amazing Stacey Trock of FreshStitches.com, Modern Baby Crochet, Cuddly Crochet, and Crocheted Softies! 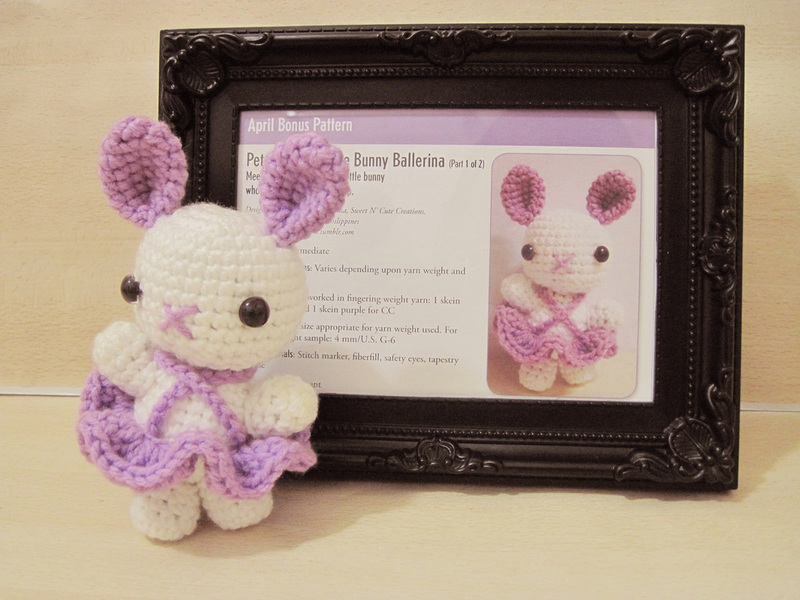 We talked about Huggable Amigurumi and little Lila! She also has a giveaway for my book!! You can read the post HERE. Speaking of Stacey, I also got to try out Stacey's AmiClub, and I've been LOVING it! It's super cool to be part of an online group (i've never been). 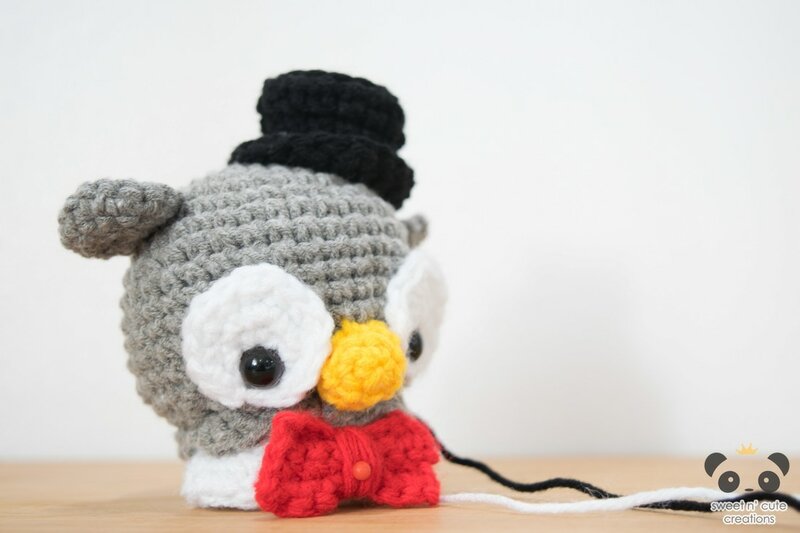 We get to talk about ami and non ami stuff, crochet and non crochet, and she even shares lots of cool tips! Overall, I've been enjoying getting to actually interact with more people from all over! Ps, she also has sales and freebies there. I also got to watch Moana late last year and I decided to make my own little Heihei and Pua, don’t they just look adorable? 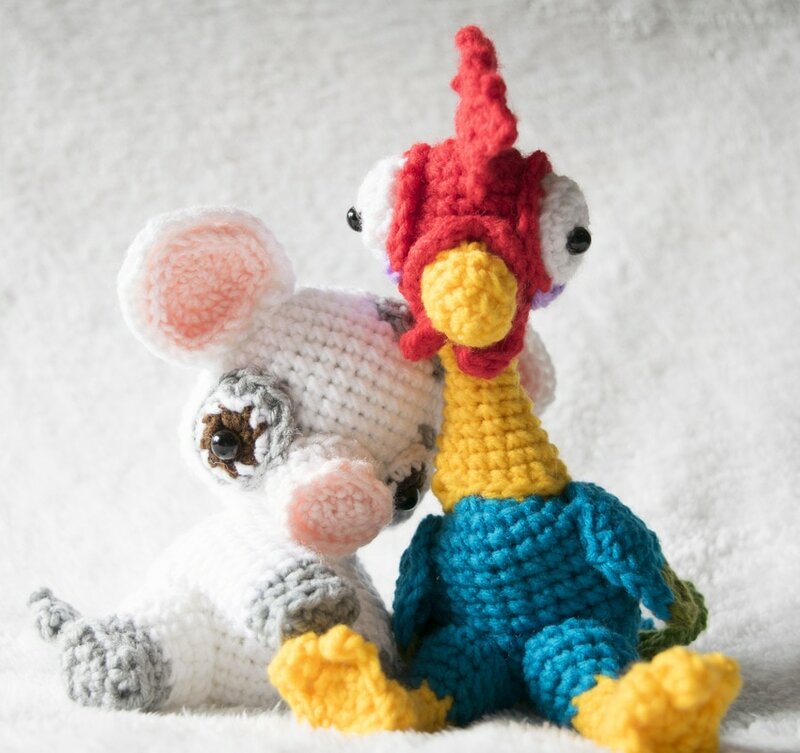 Their patterns are available HERE for Heihei and HERE for Pua. 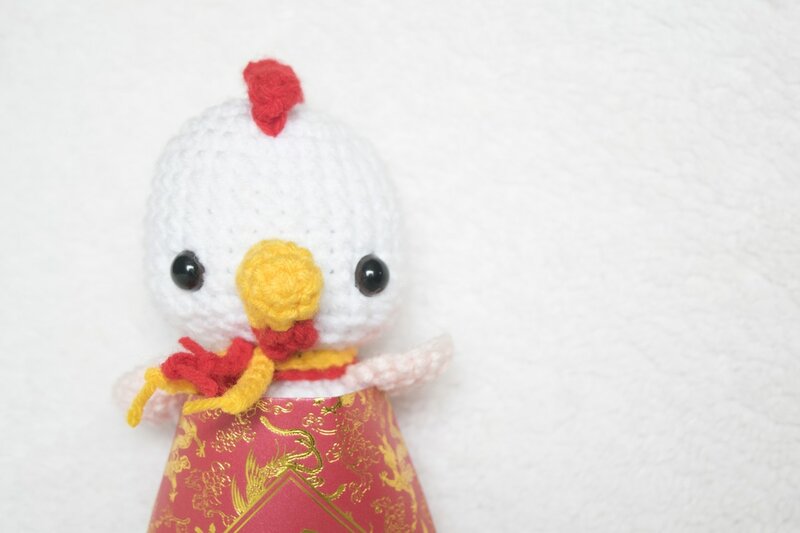 I also got to finally put up my pattern for the rooster I made for Inside Crochet up for FREE from now until 1 week after Chinese New Year’s, get it HERE. I also got to make a brand new rooster - it’s a bit less humanoid and more like a cartoon version of the real one! 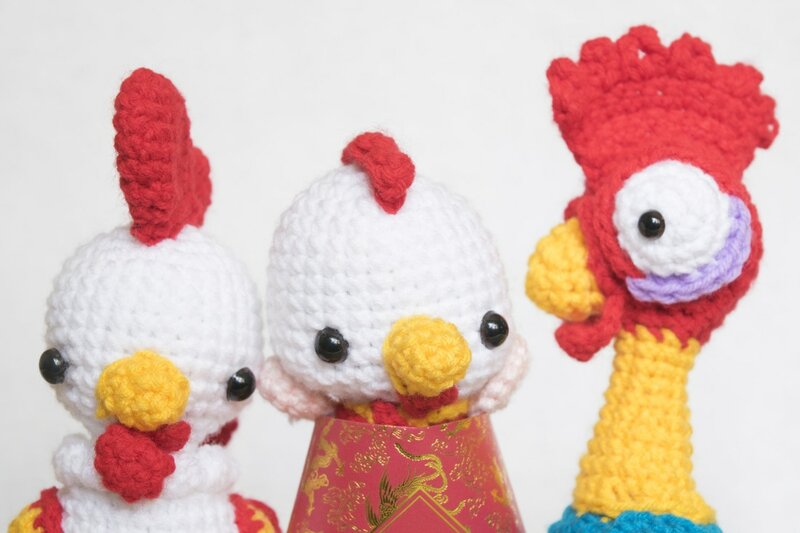 A lot of people have been asking for the pattern so I have decided to post it for FREE for 24 HOURS — I read about this from another amigurumi designer. After 24 hours or by Jan 23, 2017; 3:30pm, GMT+8, it will be for $2.99. Ravelry will automatically give it for free, no coupon code needed for those 24 hours! Here’s a cutie pie photo of Heihei, Baby Rooster, and Riley Rooster! 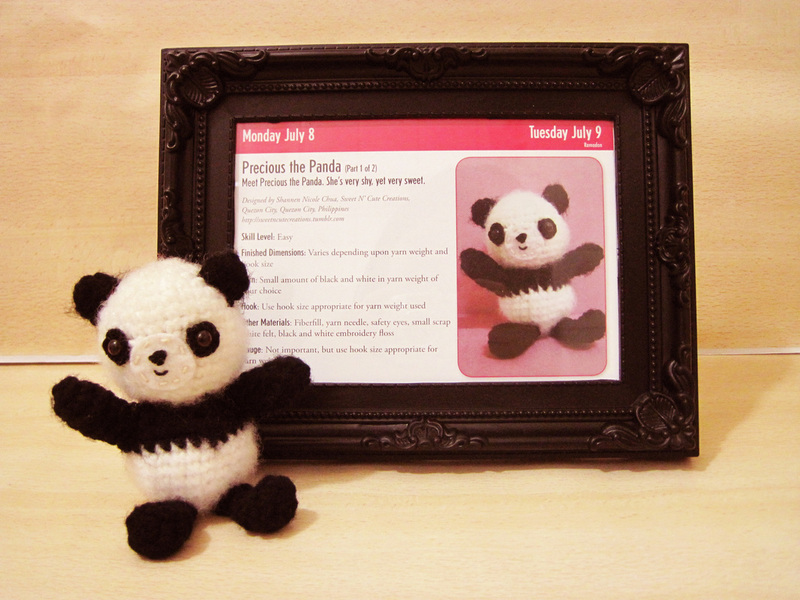 Ps, I know everyone’s been wondering about my old free patterns and what happened to them! I was reformatting my tumblr and it got deleted. I’m working on retyping each of those free patterns again and I shall PDF them to make sure they’re all there and won’t be accidentally deleted. I hope you’re gonna have a wonderful Chinese New Year and that there may be many more luck and joy for everyone! So it's been quite a while since I actually wrote a proper blog post (especially a birthday one! ), so here goes. This day, well, this year rather, marks a very special moment in my life - it's the year I officially turn 21, my last year of undergrad, and the year my book was launched. My road to 21 has definitely been filled with TONs of ups and downs! From personal crises to professional highs, it was an interesting year to say the least. As I celebrate my 17th birthday, i can't help but look back at the life i've had. Obviously, i havent had a long life yet, but in the short amount of time i've been alive, i've gotten to experience so many wonderful experiences. Ever since i was a little kid, i've ALWAYS been an animal lover...even if at times i was allergic to them. And it still hasn't changed. But nowadays, my love for animals is on a different level. I now crochet them. 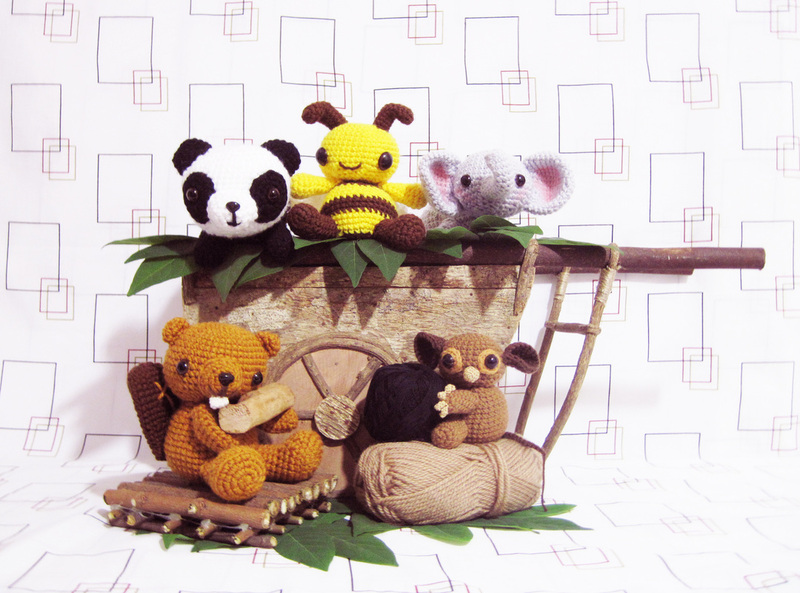 Amigurumi Crocheted Animals have given me a wonderful opportunity - being able to get to know you all. When i first started my page i was around 15 years old...and honestly, i had no idea that my creations would get this much appreciation.2 years later, here I am happier and more thankful than ever for each one of you guys. I may not know you all personally, but, life without you guys would be a whole lot emptier. and of course, what's a birthday without a surprise? a horrible one!! so, i have a little surprise for you all. thank you everyone, for making everyday more amazing and more special with your comments, likes and simple messages! thank you also for all your never ending support! and a special special thank you to my dad. thank you for always supporting me in all my endeavors, despite how random and crazy some of them are! 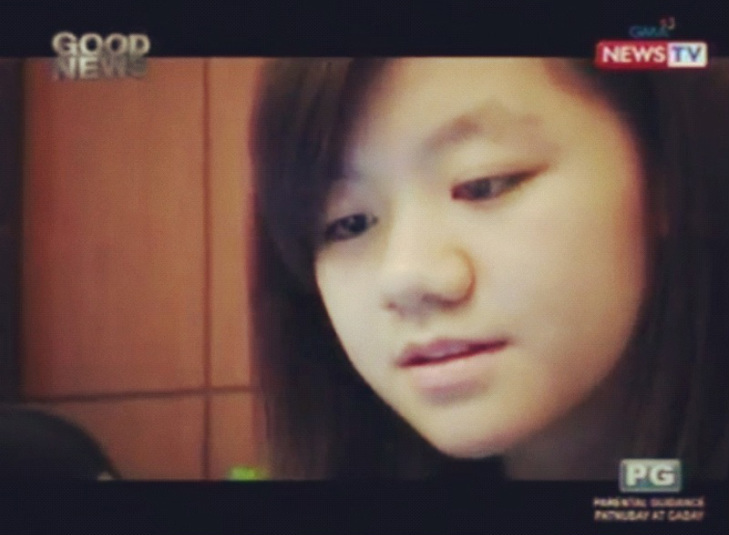 So it's been quite a while since I've actually blogged on here. Throughout the month, I've been quite busy with academics that I had not had time to make new creations. From my first quarter examinations to my college exams, and even to the day of my report card giving. First, I want to thank everyone who's stood by me even if I have not posted new designs for weeks. I've been quite stressed with school and up until now I'm a bit ill.
Secondly, I want to share with you guys some pictures from my little photo shoot! I was honestly surprised by how much I've already made. I guess, when you just set them aside and place them in a cabinet it doesn't seem like much unlike when it's all laid down in front of you. Note that note all of my creations are actually here. I only chose my favorites and some were already given away. So my dad had this awesome idea to have a best of/favorites. 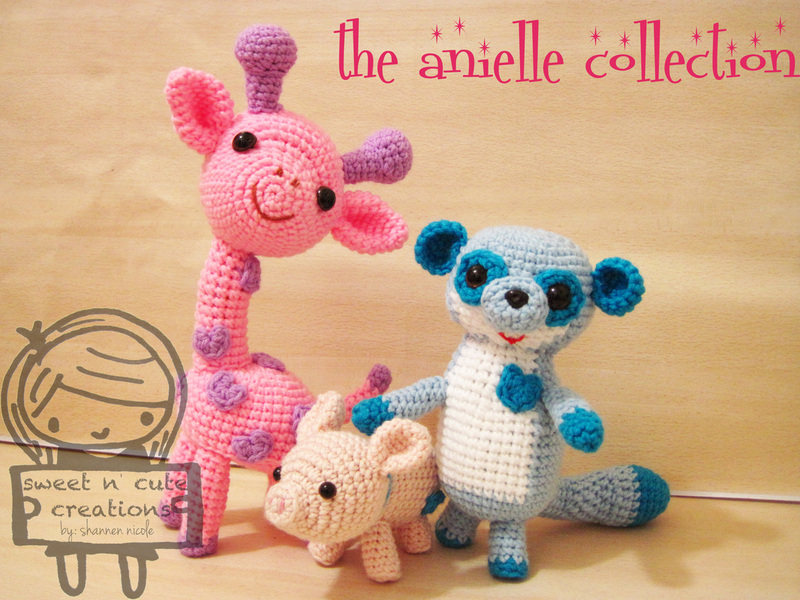 The Anielle Collection and more! Since the arrival of my baby niece, i've gotten to learn quite a number of things about babies. For one, they like things that make noises. My niece, in particular, would always play with chopsticks and bang it on the table to make noises. She also loves it when I shake my little case filled with gum inside. Second, they love the two extremes. Extreme 1. tiny objects. Extreme 2. Big objects that their little tiny hands can still grip. 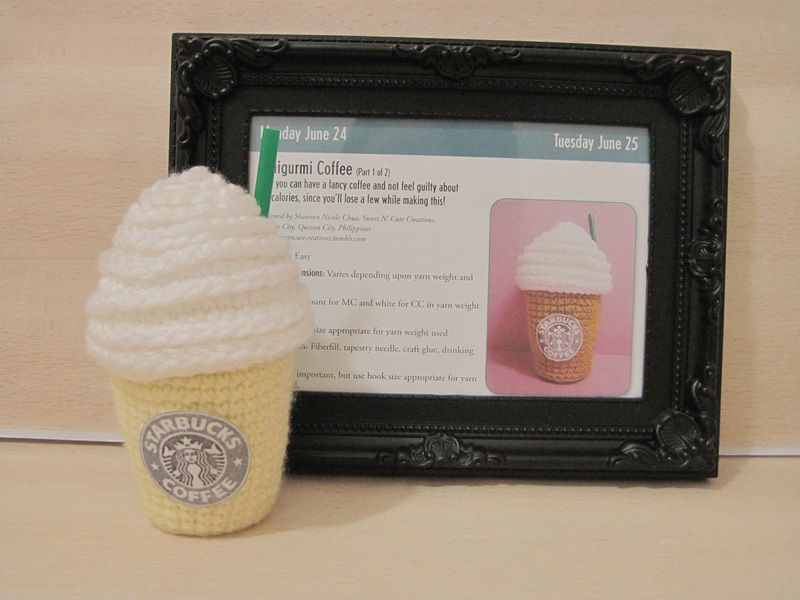 Case in point, when i presented a frappimal and an amigurumi owl to my niece she chose the frappimal because she could fit it in her tiny little hand. Another is when i presented the shiraffe [2011 collection giraffe] and the dino dragon [2011 collection as well] and she immediately chose the giraffe because she could grip the neck of it. Taking these into consideration, i decided to dedicate an entire collection to her as a gift for her 1st birthday next month. 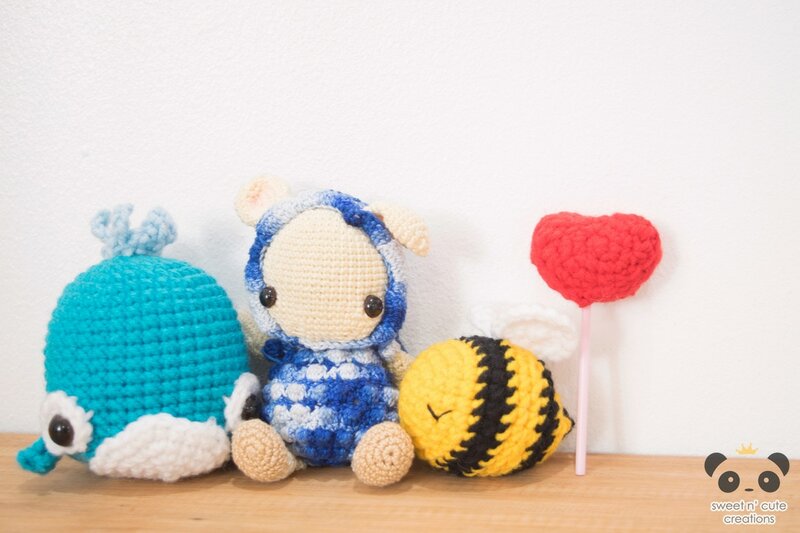 Most of you, if not all, have already seen the entire collection but i always left a message saying that there's something special within each one of them in relation to the usual amigurumi but it's common too each one in the collection. Before i tell you what it is, i'll just give you a condensed form of the Anielle Collection's description. extra special something: IT CAN MAKE NOISES!! 2. GUESS WHO'S FEATURED IN A 2013 CALENDAR??? 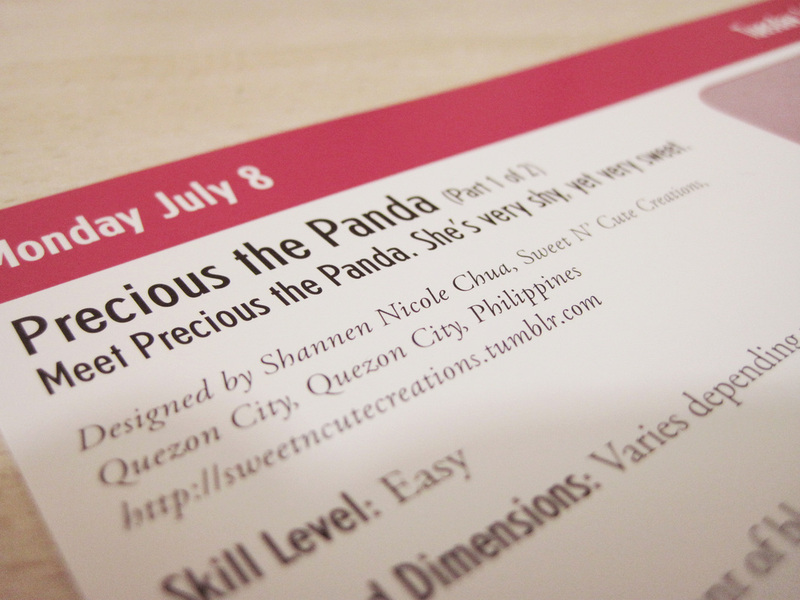 Next month [August], I'll be unveiling my 3rd mini ebook: "The Colorful Collection". 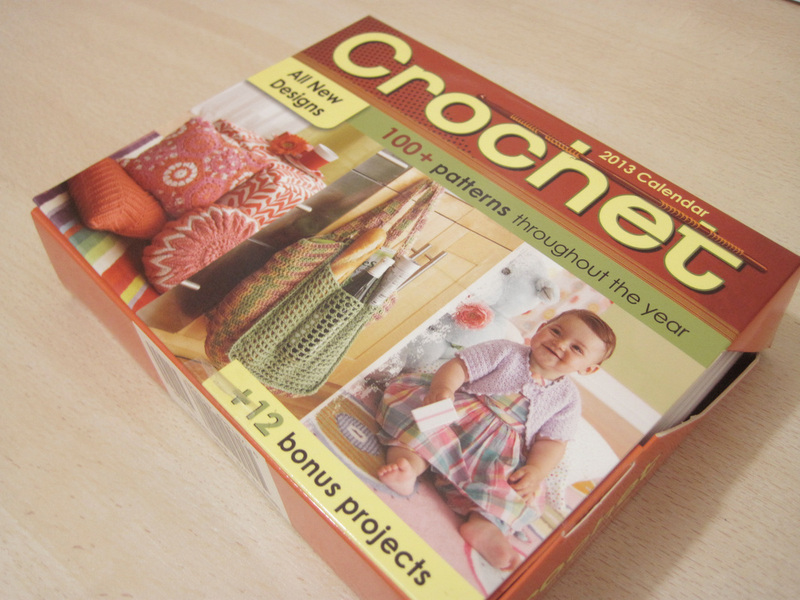 The reason that it starts with a C is because my goal is to have "authored" 26 mini crochet ebooks before i turn 30. And i wanted each # of the ebook to correspond a letter in the alphabet, hence making A- awwdorable amis, B- bunnyvengers, and now, C- Colorful Collection. 4. ENTRANCE TESTS AND QUARTERLY EXAMS!!! 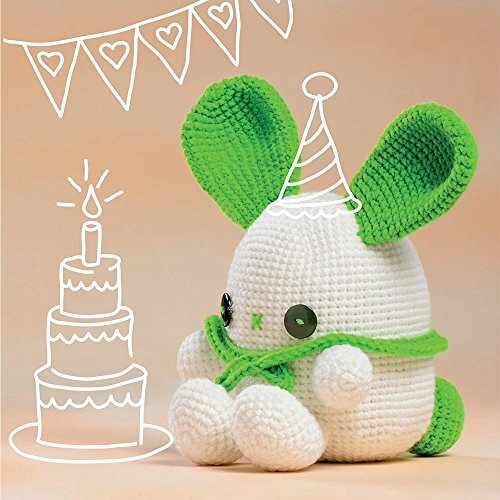 Sweet N' Cute Creations turns 1! i got the picture of google...isn't it just so adorable? 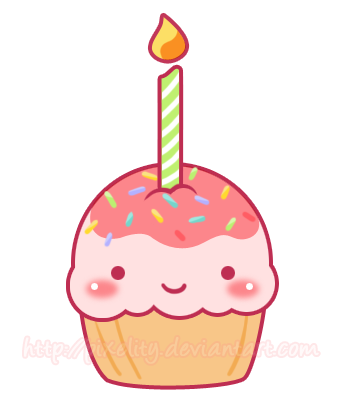 One year ago today, I started my very own Facebook page: Sweet N’ Cute Creations. 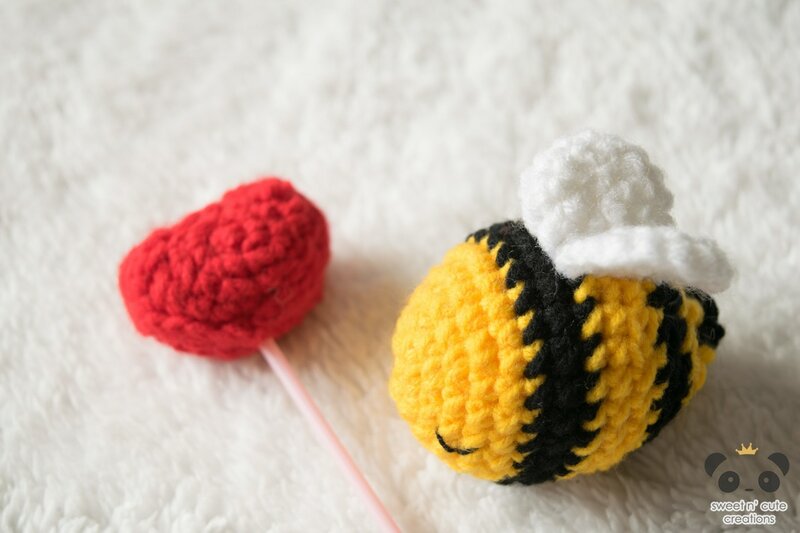 At the same time, I realized how much I truly love crochet and how much I want people to not only to like the finished products but, I wanted them to be inspired by them and want to learn crochet and hopefully love it. Over the course of the year, I got to experience so many things and I could not be more thankful to all of you for letting me experience these. Here are some of the memorable moments I got to experience because of you guys! I've never actually done a "the making of..." blog, or any blog-blog for that matter so please bear with me. This will also serve as my "practice" for writing. 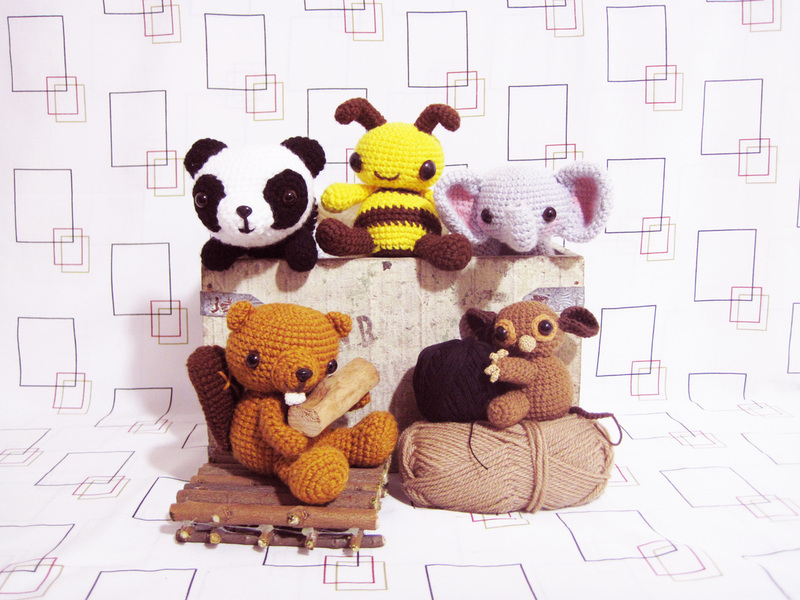 So as most, if not all, of you know, i absolutely love making amigurumis. All of the amigurumis I have done in the past, however, were all crocheted, which is why for May, I decided to try out something new...KNITTING AMIGURUMIS! 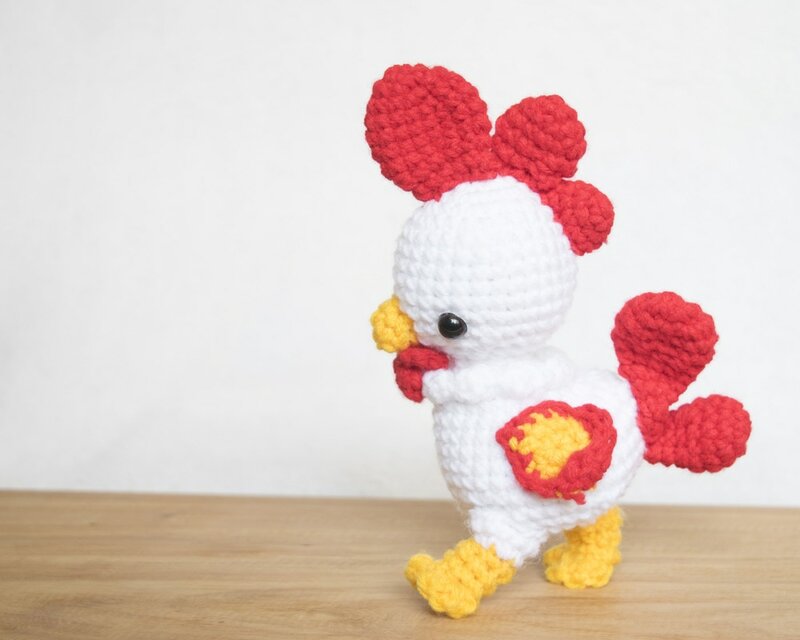 After deciding on this, I went on raverly and browsed for very simple yet cute knitted ami patterns and came across this super adorable spring chick pattern [http://blog.fuzzymitten.com/2009/04/spring-chick.html]. Of course, being relatively new to this type of knitting, I had to do some research before attempting to crochet this little critter [i only know how to knit, purl, and some cabling]. So given all the suggestions I've gotten from the previous post, I decided to reshoot the cover page. 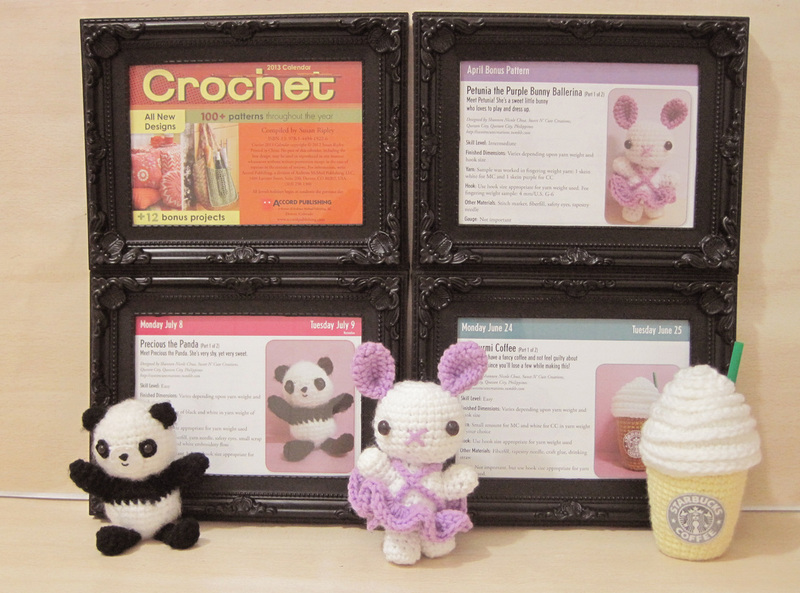 These are now the final choices I have for Awwdorable Achievable's cover page. Given these two, which do you think should be my cover page? Please also feel free to post your comments and suggestions so that I will know what other elements you feel will make it a truly "Awwdorable" cover!